How do you say no, politely? Dish Networks has outbid Japanese carrier Softbank for Sprint, offering more than $25 billion for the struggling wireless carrier, which currently has a 16 percent market share in the United States. Dish says that it’s a better choice because it’s already located in the U.S. and can offer bundles, wondrous bundles, to customers everywhere. You know what I say to that? No, thank you. Sorry, Dish. You lose. Good day, sir. Now, I’m not Willy Wonka and I don’t have the power to end this by giving Dish blueberry chewing gum and rolling it out the door, but Dish buying Sprint seems like a raw deal. The snozberries don’t taste like snozberries to me. The deal may help Dish and it may help Sprint, but it doesn’t sound great for you or me. The only thing that has come from consolidation between phone service and TV service is higher prices for everyone. Have you tried to buy high-speed Internet service lately? If you’re unlucky enough to be in areas served by Verizon, Time Warner, Comcast, or many other cable or DSL companies, it’s often impossible to get Internet service without being strong-armed into paying for landline phone service, whether you need it or not. Want Internet or cable access? They’re both ridiculously expensive unless you’re a bundled subscriber and buy TV, Internet, and Phone service from one company. When TV or Internet providers begin offering consolidated services, it’s often marketed as a money-saving option, but give it a few years and prices always seem to rise even higher and those “extra” options become mandatory. 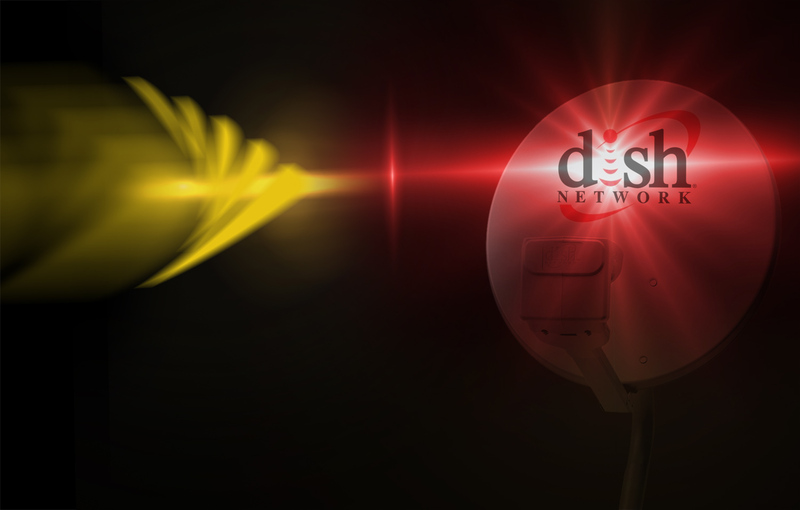 Dish’s plan, if successful, would help it transcend its satellite TV confines and become an unstoppable mega service. Dish Network’s prices don’t offend me. It’s not an egregiously priced service, nor does it have a reputation as bad as Comcast, but it’s not a completely clean player either. To sign up for Dish, you have to sign a two-year contract (much like a wireless company). And it pulls the fun trick of getting you to sign up at a low price (say $25 a month), only to double it after 12 months. Softbank may not be a U.S. company, but it has a history of undercutting competitors and offering good wireless prices. In Japan, it offers smartphone plans with 7GB of data for the equivalent of $55 a month. That’s three to four times more data than you’d get for the price on any U.S. carrier. (Read up about it here.) It’s also a strong proponent of LTE. The U.S. mobile phone industry does not need another giant media company oozing its way in. The near duopoly of Verizon and AT&T, which together control two-thirds of all mobile phone subscribers, has already made wireless data service incredibly expensive. Dish’s plan, if successful, would help it transcend its satellite TV confines and become an unstoppable mega service. Like DirecTV, Dish currently has one big weakness compared to its rivals in cable (think: AT&T, Comcast, Verizon). Though it offers a competitive TV service with a lot of good channels, it has no home Internet offering, nor can it offer phone service. Comcast and the rest of the gang make a killing by bundling broadband Internet, cable, and landline phone service together. So here’s the plan: Dish already owns some LTE spectrum. Together with Sprint’s coverage and LTE network, it could offer wireless LTE broadband to a good portion of its subscribers within a year or two. Down the line, as its network improves and speeds up, it could have a leg up on many of its cable competitors like Comcast, which don’t own an LTE network, turning it into a nation-wide power player. In this possible future, our TV, phone, and Internet lives would be owned by Dish, Verizon, or AT&T. Dish may even have the advantage. Though you have to install a Dish to use it (for now), satellite service is more widely available than cable or broadband – assuming your house doesn’t have too many trees around it. This may sound stellar if your dream is to buy everything from one company. And while we may see a faster Sprint come out of a Dish merger, it could be a more expensive Sprint. I cannot speak for all of you, but the last thing I want to do when buying a phone or tablet is be pushed into subscribing to some Dish video offering. I don’t want to have to buy three dish receivers to get $100 off my Galaxy S4, or sign up for Dish satellite TV to get a good price on a family wireless plan. And once Dish starts bundling, Verizon and AT&T will show much less restraint than they do now. They’ll all go bundle crazy. Of course, I could be giving Dish too much credit. For $25 billion, I would hope it knows what it’s doing, but its acquisition of Blockbuster in 2011 hasn’t lead to any revival of that brand. Instead, Blockbuster stores continue to be shut down every week and the Blockbuster online service doesn’t appear to be gaining ground against the likes of Amazon and Netflix. A Softbank/Sprint merger would help Sprint and subscribers more in the near future. And, just to throw a fizzy lifting drink into the mix (and confuse all of you who forgot that I made a Willy Wonka reference earlier), why should we be excited about Dish buying Sprint if Dish’s own employees hate working for it? Glassdoor ranks it as one of the worst companies to work for in America. I have nothing against Dish Network, and the earth won’t be devoured by locusts if it buys Sprint (hopefully). Hell, your service will likely improve if you’re on the carrier. Maybe some crazy innovative offerings pop up out of it, and it turns out to be just what the industry needs, and dozens (literally dozen) of you will come back to this editorial in a few years to point and laugh at my lack of accurate foresight. I’m willing to take that chance. A Softbank/Sprint merger would help Sprint and subscribers more in the near future. If there’s one thing we need more of, it’s better data plans and cheaper wireless prices. Softbank has a history of offering a lot more than competitors, for less; Dish, on the other hand, seems more concerned with turning Sprint into the last triangle in its Triforce of power (see: Ganon). Dish wants to become a media monster. Softbank just wants a foot in the door. But hey, if Dish wins, you’ll finally have a reason to enter a Blockbuster Video store again: to buy your new Sprint phone. Is Logitech's 'Ultimate' the world's last true universal remote?